Some believe it to be a simple case of the puppet doing exactly as the master orders while others play the guessing game about palace intrigue in the Kremlin corridors. In truth, the relationship between President Medvedev and Prime Minister Putin is anything but simple. In childhood Medvedev was a rebel. His working class parents wanted him to study science but the young Dmitry was more interested in sports, books, and as a teen he secretly collected illegal Western rock music albums. His favourites included groups like Led Zeppelin and Deep Purple. In order to earn money for books and albums Medvedev took jobs in construction and as a street cleaner. Both men received formal educations in law at Leningrad State University. During that time Dmitry Medvedev and Vladimir Putin studied (separately) under the outspoken Democrat Anatoly Sobchak who would later become mayor of St. Petersburg. It was Sobchak who really brought the two together in his run for the Congress of People’s Deputies of the Soviet Republic as a democratic reformer, advocating free markets and a multi party political system. Medvedev was so dedicated to Sobchak’s campaign that when KGB agents carted away files and campaign literature in a raid of Sobchak’s campaign offices, he and others stayed up late at night to print replacements by hand. In June 1991, Sobchak was elected as mayor of Leningrad (St Petersburg) and hired Medvedev to serve as a city legal adviser. Soon thereafter Sobchak appointed Medvedev to the committee for external affairs which was chaired by Vladimir Putin. After the fall of the Soviet Union, Sobchak was selected to lead a group of legal scholars in writing a new constitution, and so the daily duties of running the city fell on the shoulders of deputy mayor Vladimir Putin. Medvedev was one of his right hand men their personal friendship continued. Medvedev was there when Vladimir Putin was appointed as Prime Minister and it was Putin who brought Medvedev to Moscow to run the daily activities of the Putin administration as chief of staff. 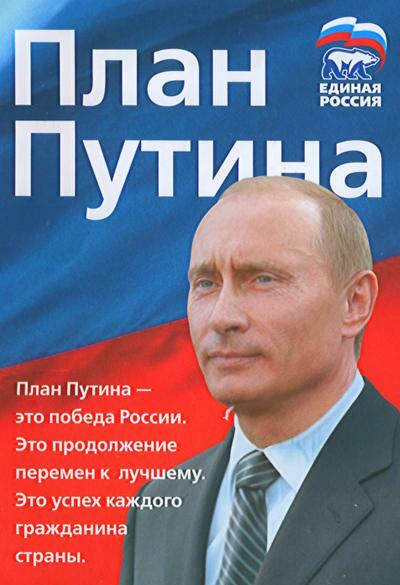 Medvedev was the head of the Putin presidential campaign in 2000. Also in 2000 Medvedev had become chairman of the state-controlled gas monopoly, Gazprom, and was in charge of Gazprom when Gazprom Media took control of Vladimir Gusinsky’s media empire, the NTV television channel. There are those behind the scenes to whom both men must answer. One of them was the man who dictated resignation terms to Mikhail Gorbachev at the end of his Soviet presidency—former Moscow mayor Yuri Luzhkov. Medvedev fired Luzhkov last year replacing him with someone loyal to Putin and himself, Sergei Sobyani a younger Siberian lawyer who had been Putin’s chief of staff. Up to that point, anyone could easily assume that Putin was the boss and Medvedev the lackey. One should not, however, discount Medvedev’s fiercely independent nature since childhood. Nor should one discount the ambitions of his wife, Mrs Svetlana Medvedeva. The two are well-suited to each other and when Mr Putin was about to name Mr Medvedev as his replacement for president, Mrs Medvedeva quickly became one of his closest adviser’s, beginning with his waistline. Within an amazingly short time he had slimmed down over 40 lbs, looking very fit. He has maintained his weight since that time. Speaking of shedding, in 2009-2010 Medvedev began to shed many of the high ranking staff who had been hand picked by Putin and replacing them with his own choices. Mrs Medvedeva was behind the scenes but clearly an important part of the process. In 2010 a presidential think tank of some of Russia’s brightest and most influential businesspeople and academics, chaired by Medvedev himself, proposed radical changes in Russia, including a return to certain liberal elements of Yeltsin policy, a multiparty system and cutting the president’s term of office. United Russia party poster "Putin's Plan"
“Modernization” and “innovation” have become key words characterizing Medvedev’s presidency so far. The head of state has called for changes in almost all spheres of the political and social life of the country. As such, he is reading directly from those 66 pages of ideas for a new Russia. Working closely with his trusted Kremlin aide Arkady Dvorkovich, the President has used the report as a springboard to publicly declare his views for a Russia more modern and more independently democratic that today. So what does this group, hand chosen by Medvedev say that Russia should be like in the future? According to that report, first and foremost, “Human capital” is of immense value for future development, and it should be independent in its views, realistic and critical in its understanding of reality, dynamic and responsible. Those in power, for their part, should support and cultivate such qualities within society. As for particular steps to be taken on the way to Russia’s democracy of the 21st century, the report’s authors say that the country needs both “a strong president and strong parliament”. The presidential term, though, should be cut from six to five years, while MPs should keep their seats for four years. (Unlike today in which the speaker of the Duma has said, “parliament is no place for political discussion,” Medvedev’s love of debate and free discourse would be freely evident in the Duma.) One should remember however that one of Medvedev’s first actions was to extend the presidential term from four to six years soon after assuming office. The system of Russian courts should be independent from the federal branch of government and allowed to function in following the constitution. The report also touched upon one of Russia’s hot buttons – the media. Government should be stripped of its of media, which will become possible as digital television becomes widespread, thus leading to an end to the monopoly of federal channels. Overhaul the Ministry of Internal Affairs (MVD), Federal Security Service (FSB) and State Traffic Safety Inspectorate (STSI) The report outlines the overhaul of the law-enforcement system as one of the key reforms in the overall reorganization of the internal security system in the country, and the system should change from its current repressive style to one that puts the security and rights of the people first. In the new model, the Ministry of Internal Affairs will be replaced by a new organization called the Federal Service of Criminal Police. Special police units would exist in the regions to deal with social security and minor crimes. Instead of internal forces like the feared OMOH whose stated job is to protect government from the citizenry, there will be a National Guard, and a municipal militia would be active in cities and villages. The former responsibilities of the liquidated State Traffic Safety Inspectorate would be divided between the militia and a Civil Road Traffic Service. Medvedev has already begun to implement some of the proposed measures. For instance, the Ministry of Internal Affairs and the army are being reorganized, and Medvedev says he is only beginning with those reforms. .
Medvedev favours a smaller and more efficient military, his report saying that the current Armed Forces be replaced by a smaller force (about 500,000 – 600,000 from the existing 1,1 million) and a volunteer and professional army, with higher salaries, should be created. Medvedev has not however said how these changes would address Russia’s universal draft. Unlike Putin, Medvedev believes that Georgia should be courted and invited to again be a part of the regional economic and security organizations such as the Commonwealth of Independent States. Medvedev also believes that instead of a relationship of competition, Russia should become a strategic economic and security partner of the USA. Russia is now forming a regional Common Market, often termed the “Customs Union” in which there should be a free movement of goods and services. (The West is nervous about this however as it combines trade, customs, postal, internal security, and a common currency ambitions in the hands of Moscow.) So far Russia-Belarus-Kazakhstan are the founding members of this “union.” A lot of pressure is being exerted on Ukraine to join. When the report on Russia’s future was made public the authors stressed that it had been written not only President Medvedev, but for the stimulation of debate and discussion in a society in which ordinary citizens are not often consulted about political visions of the future. The group pointed to last year’s protests in places like the Far East and in Kaliningrad (more than 10,000 people took part in the Kaliningrad protests) as evidence that the Russian people want a voice in decisions regarding Russia’s future. Of great symbolic interest was that so much of the footage of the two men together was taken from clips of Medvedev’s inauguration. Putin is clearly a nuts and bolts guy. He loves the daily mechanisms of running a government. Meanwhile Medvedev is a big picture kind of guy. He excels at diplomacy and being on the world stage. Unless it involves him being photographed bare chested while hunting in the forest, Putin hates that kind of stuff. In that case the two are well paired. First we must remember that Putin is a strong personality. Unlike some others however, he does not surround himself with weak people. He likes to jab and spar and enjoys a fight. Medvedev would not be president today if he were subservient or weak. Thus, Putin is not surprised by Medvedev’s growing independence. That independence has put some strains on their relationship. Such is to be expected. Will Medvedev run? The question is whether he has enough support with Russia’s players/movers/shakers and the ruling Oligarchs to get the nod. That is the battle you see being played out right now. Should Medvedev get the nod, it will be an indication that the ruling elite has decided to further test the democratic experiment.